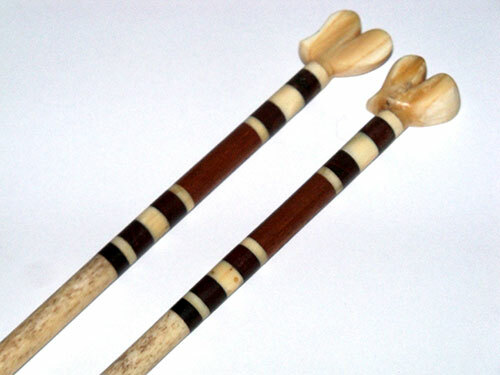 Presented here, a fine pair of Scrimshaw Knitting Needles made of Whalebone with Baleen and Ivory bands flanking an inset of exotic wood and terminating in Ivory hearts made of Whale Ivory. Most likely made for a mother, wife or sweetheart by a sailor on a Whaling voyage. Her sailor would be constantly on her mind as her needles knit the yarn, probably into a hat or sweater for her loved one who was away at sea. 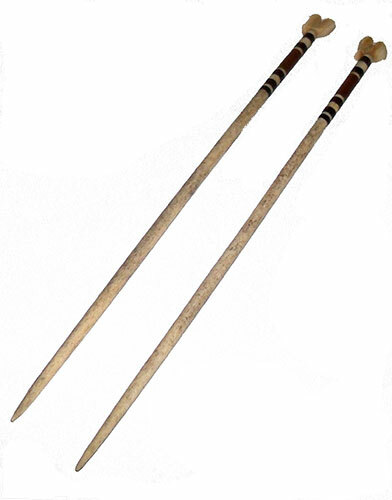 The needles are 15 inches in length and in excellent condition.